Residents of Huntsville, Texas have been shopping Brazos Valley’s large inventory for years! We don’t blame them, with such close proximity it only makes sense. We are proud to say that our huge inventory of BMW’s in both new and used options make us Huntsville’s preferred dealer. 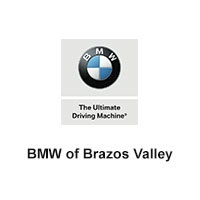 Huntsville residents don’t just shop at BMW of Brazos Valley for our large inventory, they also trust us to service their cars. At BMW of Brazos Valley we keep cars newer for longer with available OEM compatible parts and accessories, flexible service hours, and a hassle free experience. Come on down and see for yourself why Huntsville, Texas residents have been trusting us for years! We encourage you to keep an eye on our promotions. We offer new vehicle specials, used vehicle specials, parts specials, service specials, and more. At BMW of College Station we want you to have your cake and eat it too, so we are constantly committed to keeping our pricing competitive and affordable. After all, we know that Huntsville residents have a choice when it comes to selecting their preferred dealership. Schedule a test drive online or simply stop in. Our staff will be thrilled to see you! We are conveniently located at 3100 Briarcrest Dr Bryan, TX 77802. Stopped by to get a part .grate service. Pleasant, not pushy. I enjoyed my buying experience. No complaints. Can't wait to see the new building.